Masterpiece - KUM | Made in Germany | Anspitzer Zeichengerate uvm. An extraordinary sharpener – hand-made in Germany. The KUM Masterpiece passes through eight quality checks, during the production process nothing is left to chance. Special blades, tests after each single production step and a high-quality precision work guarantee the uniqueness of this sharpener. The KUM® Masterpiece sharpens in two phases. In phase one only the wood of the pencil is removed. The removal of the shavings is set to a TC system, the so-called Thin Cut. In phase two, the lead is sensitively sharpened and formed. The goal is to obtain a long and precise pen tip. The result is a conical shaping based on 8 degrees. The prerequisite for this perfection is a centered lead and first-class wood. Second and third grade pens will fail here. 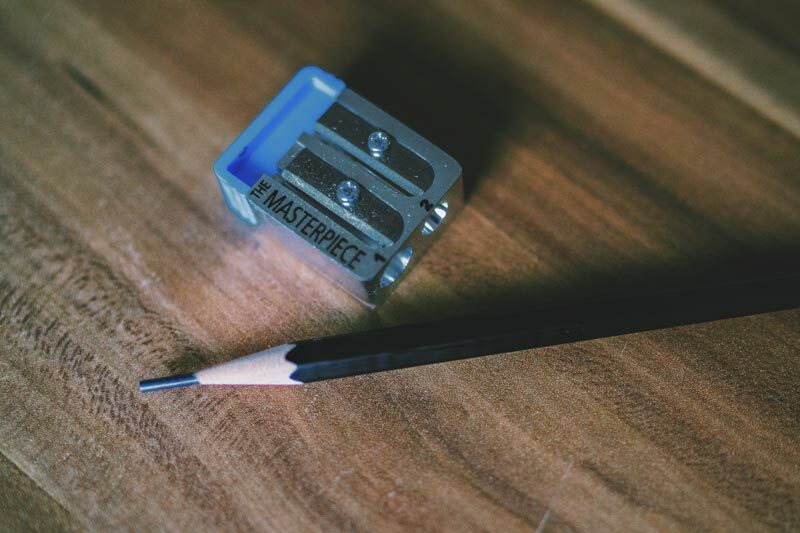 The sharpener is made of magnesium, a high-tech material. Magnesium is not only lightweight, but also ensures the perfect fit of the blade. The blades are made of finely ground high-carbon steel. This steel – with a hardness of more than 62 hrc – is much harder than any high quality kitchen knife (about 55 hrc). Due to the Dynamic Torsion Action®, the blades are under constant tension, preventing the tip of the pen from breaking out. The sliding stopper permits to uncover the lead.